184 pages | 132 Color Illus. This book briefly reviews the history of equine embryo transfer, covering in clinically practical terms the techniques, equipment, and management protocols currently in use. Embryo transfer has become a big business, especially for breeding racing stock (horses and camels), and is therefore a very important aspect of equine practice. Ed Squires and Pat McCue have been involved with the development of embryo collection and transfer procedures since the early 60s and have both contributed important techniques and innovations to the process through their research and clinical experience. This book captures the clinical experience, so far, and applies it directly to equine practice. The book is of great value to general equine practitioners for reference, equine reproduction specialists, animal science at the graduate level (equine track), and breeders. "… a well-written book. It covers everything involved in equine embryo transfer work from start to finish. The book is written in a manner that will provide valuable information to anyone interested in learning embryo transfer or someone who is already doing some embryo transfer but would like more information. … I particularly liked the pictures and charts, because they nicely complimented and augmented the text. This book also contains a lot of descriptive statistics for a large number of embryo transfers. 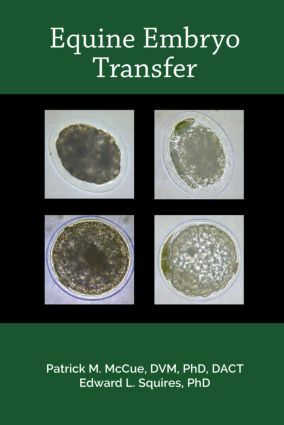 It is a good value and will be a nice addition to the library of anyone interested in equine embryo transfer."